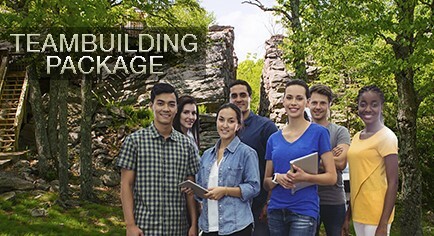 Escape the everyday chaos with a work retreat at Split Rock Resort, located in the beautiful Poconos Mountains. Our location, extensive amenities, and affordable cost offer the perfect flexibility to meet your group's needs. We offer a variety of group packages to suit every gathering and age group. Call (570) 215-6123 to speak with our sales department for more information. Only 17 miles from us, Penn's Peak offers a wide range of musical acts from tribute bands to legends themselves. 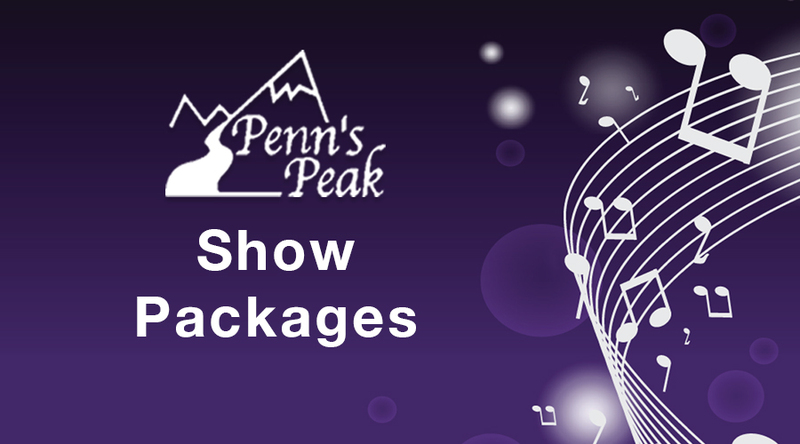 Book our show package to include lodging and tickets to the Penn's Peak Luncheon Show. For a full description of their shows, visit their website. Call (570) 215-6123 or email us to speak with our sales department for more information on our Penn's Peak Package. Leadership, trust, and teamwork can all be built through team building exercises. Your group's teambuilding experience will start with an ice breaker and your choice of one or more of the following activities led by a member of our Social Squad: Olympic Games, Scavenger Hunt, Family Feud, and Obstacle Course. Call (570) 215-6123 or email us to speak with our sales department for more information on our teambuilding package. Split Rock Resort is a motor coach friendly destination, and we welcome you to make the trip to the beautiful Pocono Mountains! We strive to give your motor coach group a memorable experience, whether you come on a day trip or for a whole weekend. Check out our Penns Peak Package, available in May and October; enjoy an amazing luncheon show, dinner, bingo, and breakfast! Call (570) 215-6123 to speak with our sales department for more information on day and bus trips. Planning your next event? Choose Split Rock Resort! Please complete the Request for Proposal below, and one of our sales specialists will be in touch with you.